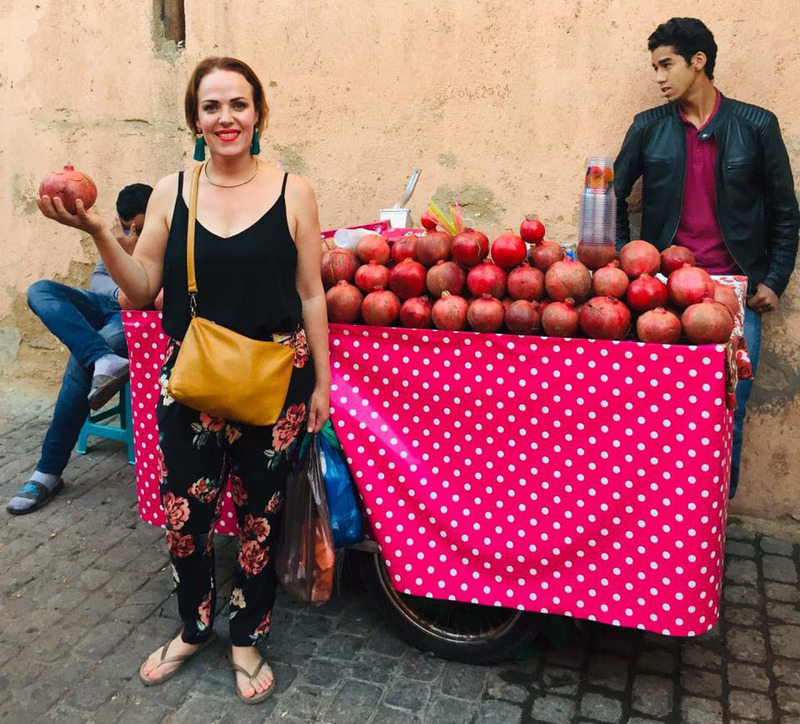 It was an absolute honour to be selected by the Cosmetic Export Council of South Africa (CECOSA) to travel to Morocco to attend the CBHExpo in Casablanca. The CBHExpo is a trade show that represents the cosmetics and hygiene supply chain. Argan oil, which is produced from the kernels of the argan tree, is endemic to Morocco and a well-known and respected skincare oil. 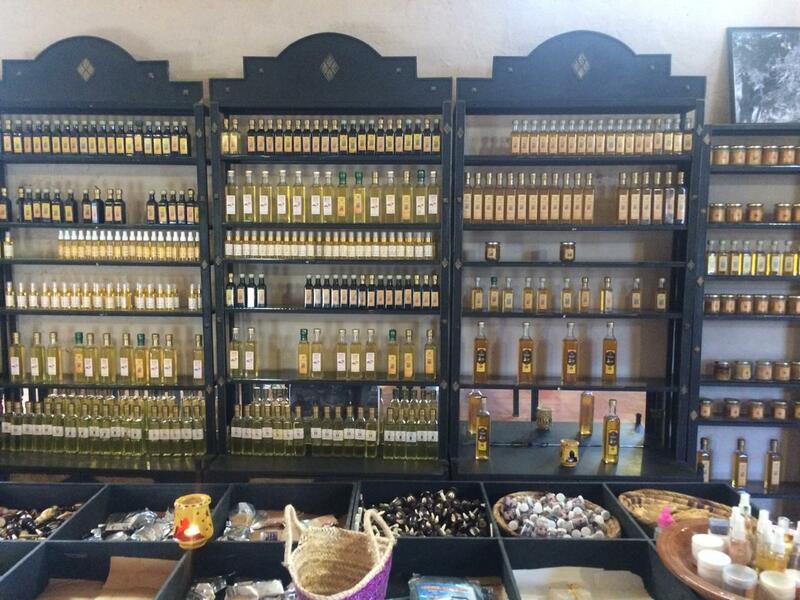 To say it was fascinating to visit the “country of beauty oil” is an understatement. Apart from the wonderful exposure and networking opportunity this was for Royale SA, it was also great to get a glimpse at the traditions and ways of the Moroccan culture. 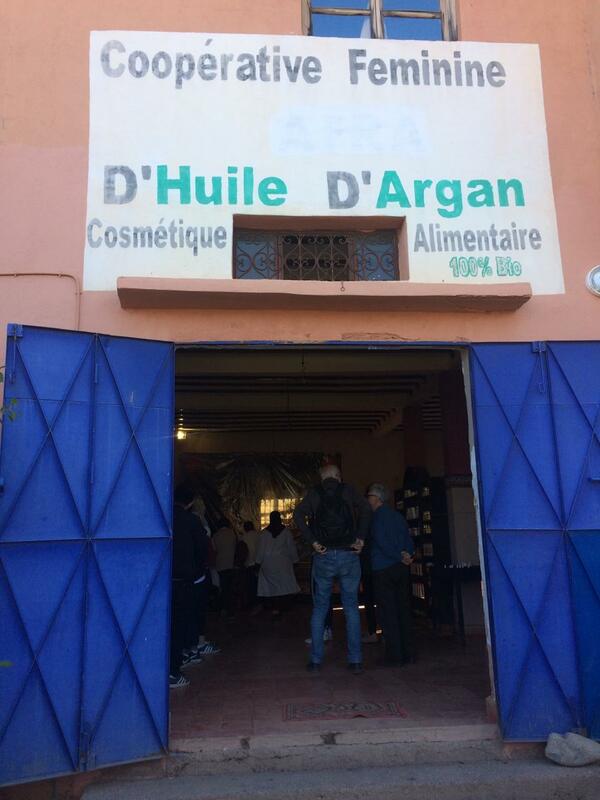 The pictures tell the best story of Royale SA in Morocco. 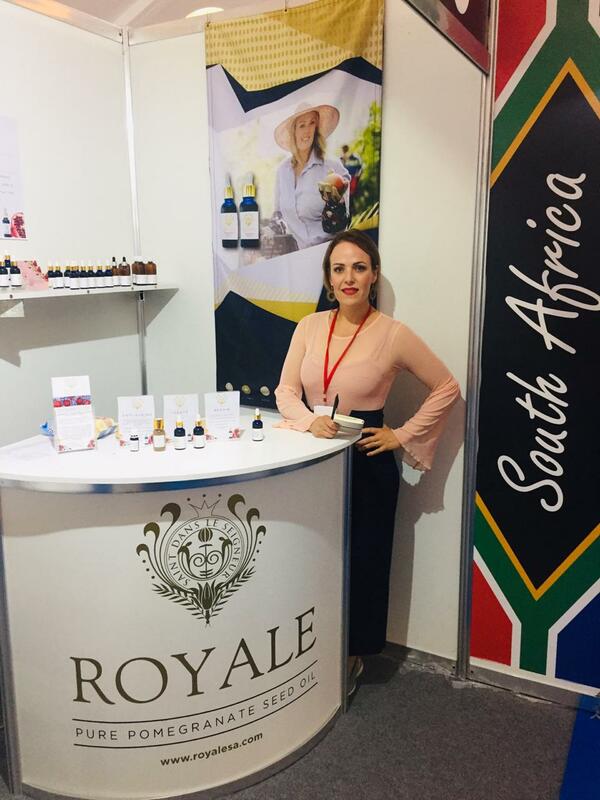 Representing not just the Royale SA brand at the expo, but also South Africa – such a proud moment and memorable experience for me. 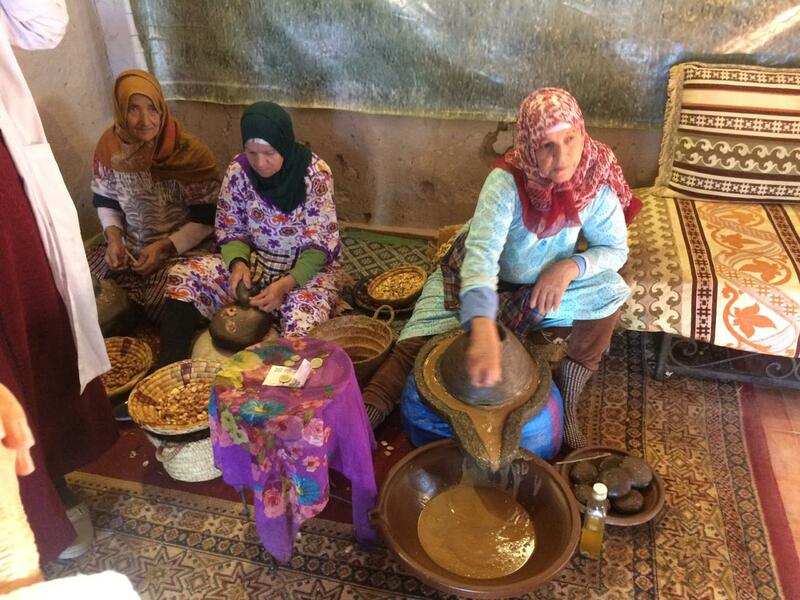 Women pressing argan oil in the traditional way (above) and the entrance to an argan oil cooperative run by women (below). I was fascinated by the variety of spices and dried flowers available virtually everywhere. They’re used to flavour both oils and foods. The scents overwhelm you in the most alluring way. I brought a bit of rose and jasmine home with me and used it in the Limited Edition Moroccan Rose & Jasmine Pomegranate Oil Serum. Does it get any better than this? 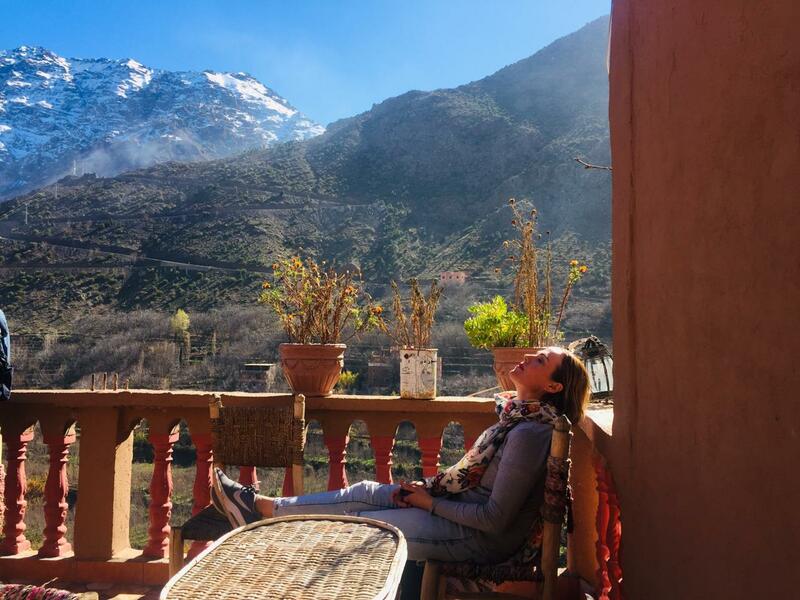 Relaxing in the winter morning sun, with views of the Atlas Mountains. 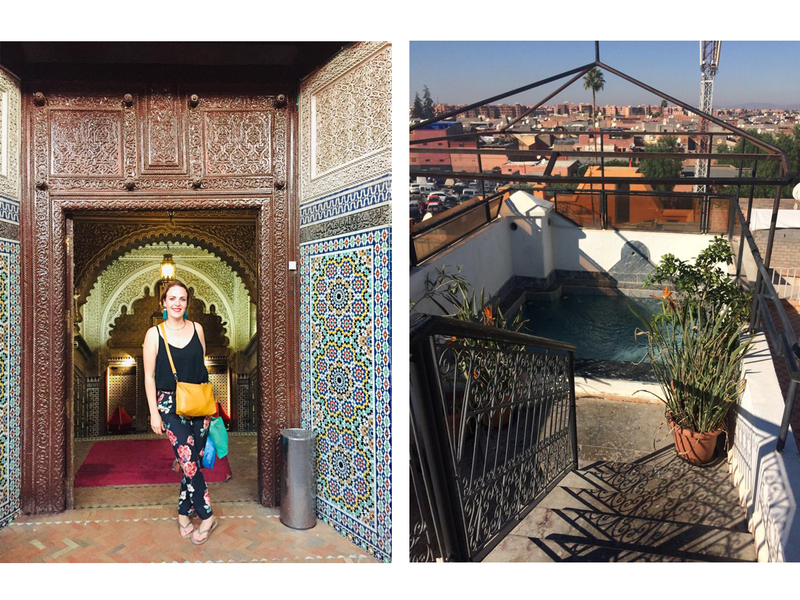 There is no lack of colour in Morocco – everything is beautifully colourful, with intricate patterns everywhere (like the entrance to the building in the picture on the left). On the right is the pool on the rooftop “chill out” area in the Riad that we stayed in. A Riad is a traditional Moroccan house with an interior courtyard and a rooftop lounge in the Medina of Marrakech. They look – and feel! – like little palaces! The ACTUAL Ricks Cafe from the classic movie, Casablanca! 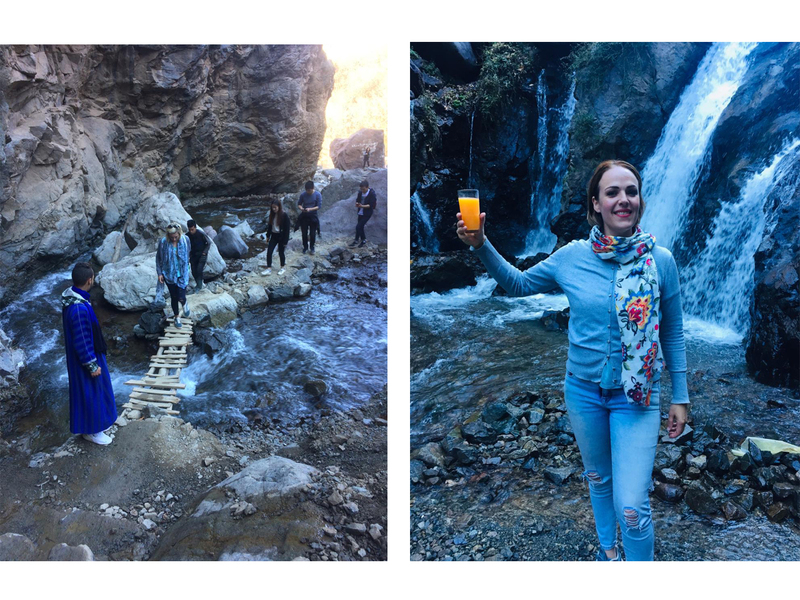 We visited a traditional berber village in the Atlas Mountains where we took a hike and enjoyed freshly squeezed naartjie juice. Naartjies for days! 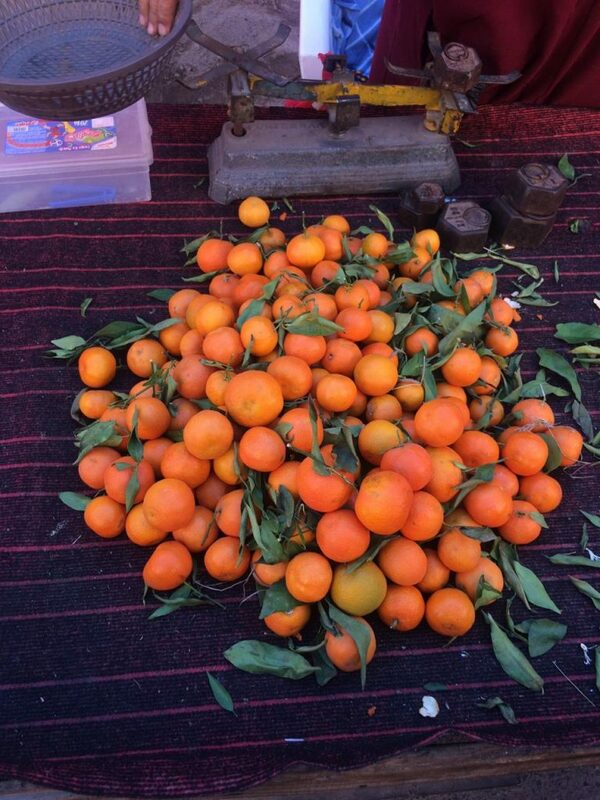 They’re my favourite fruit, after pomegranates, and remind me of my granny. 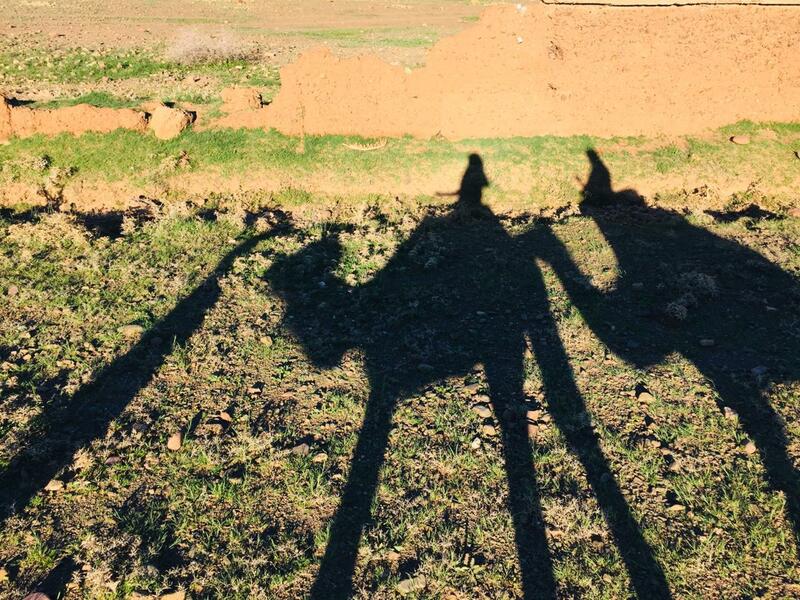 Camel rides! 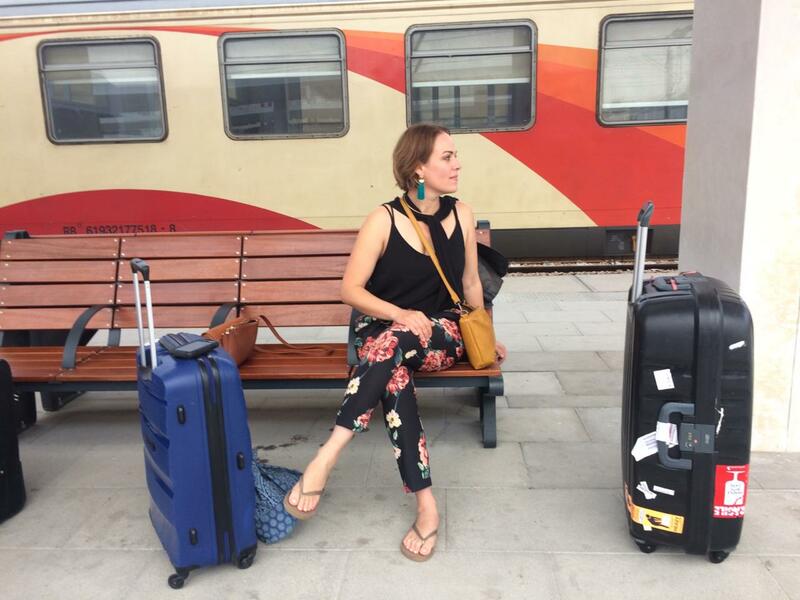 Because… when in Morocco. 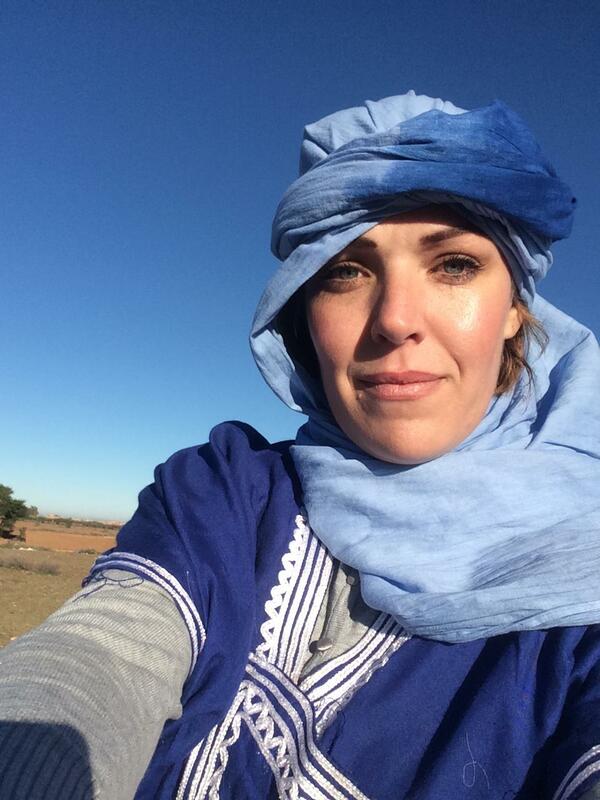 Turban selfie after riding a camel.